Former professional musician with 2 albums published (Universal Records and Danse Macabre Records), David has been recording and mixing for almost 20 years. He fully dedicated himself to recording, mix and mastering after ending his career as musician in 2010. In 2014, he started the popular youtube channel MixbusTv, which became quickly one of the most trusted and respected mix and mastering channels, which is known for its detailed and technical reviews of pro audio hardware and software. 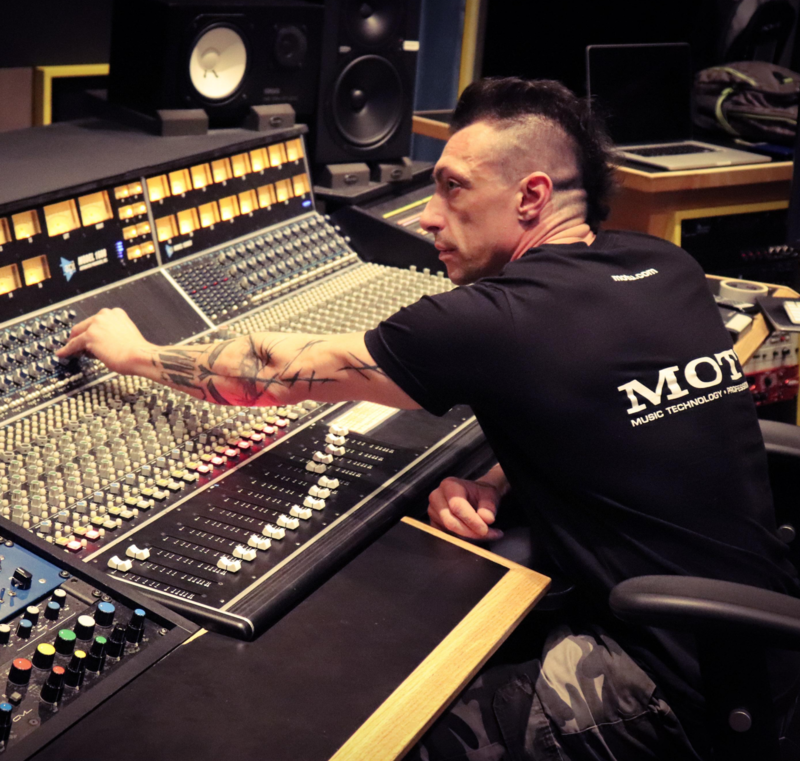 Now located in L.A., California, David has his residency at the world class “hit-factory” Echobar Studios in North Hollywood, available as a producer, mix & mastering engineer. In 2019, David is starting MixbusTV Productions, a Los Angeles based production team of songwriters, singers, recording artists and beatmakers, producing upcoming artists like Deezel, Ty Oliver, Isabelly Sierra Kelly, Flo Oramasionwu and many more. 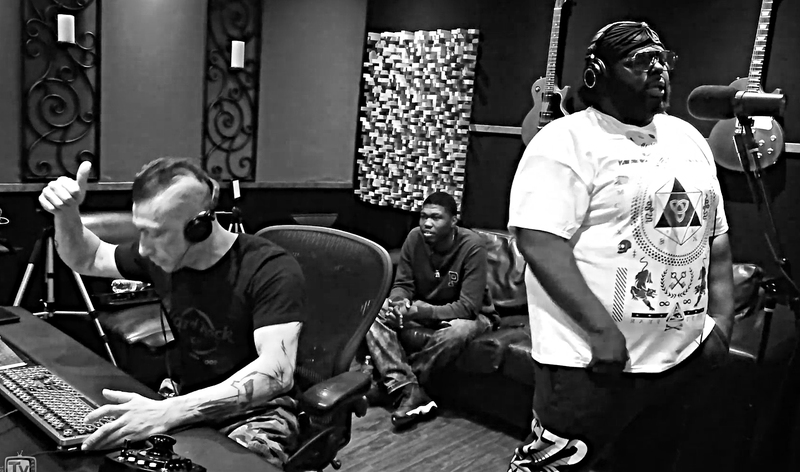 Are you a Rapper, HipHop producer or recording engineer? We love the massive 808s & kicks that hit us right in the chest. The unique production elements, which make songs hooky & insantly recognizable and the tight vocal delivery that blends perfectly with the beat. However… if you’ve been producing HipHop for a while, you’ll know that it’s NOT easy get your tracks to sound like that. 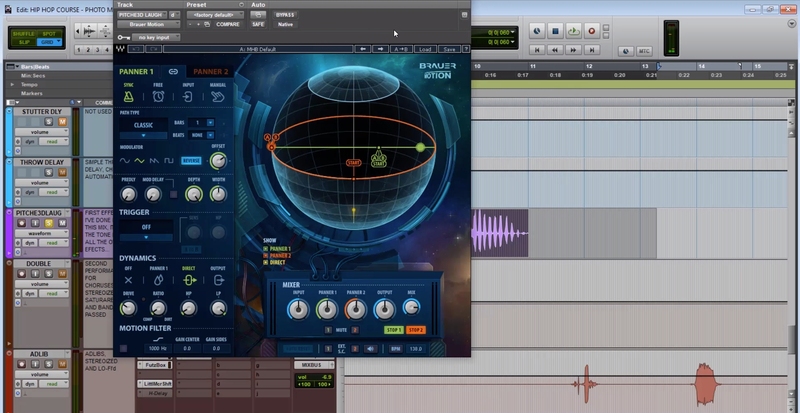 So… how can YOU achieve this sound in your own productions? 2. Creative Mixing: Focus on each invididual element and make it sound unique, to create timless classics that stay on top of people’s minds. Virtually sit in a recording session with rapper ‘Deezel’ and learn you how to select the right microphone and preamp to fit the artists voice. Understand how to set up your Compressors and EQs to achieve a raw vocal sound, that compliments the rappers flow & delivery. Learn how to achieve a massive lowend that carries the song, how to mix synths, vocals, adlibs and create special effects to create a your own trademark sound. 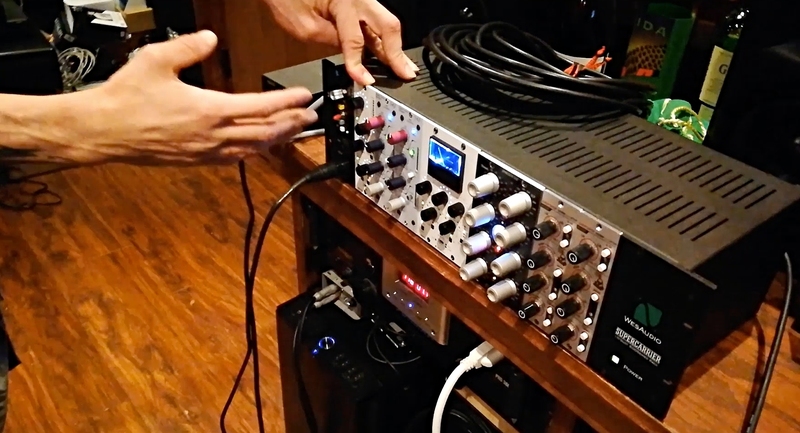 David mixes 100% in the box, using plugins only, so you can achieve the same results in your Home studio! Sounds amazing right? – But there’s more! Learn how to use plugins to master your tracks at home, so they’re ready to be released on Spotify, iTunes and take the clubs my storm. – So what are you waiting for? Virtually sit in a recording session with rapper ‘Deezel’ and learn you how to select the right microphone and preamp to fit the artists voice. Understand how to set up your Gainstaging, Compressors and EQs to achieve a raw vocal sound, that compliments the rappers flow & delivery. Beats That Hit Hard – Even On Earbuds! The pride of any HipHop track is its beat. David doesn’t only show you how to achieve a powerful low-end and hard-hitting snares, but also how to blend multiple layers of instruments that enhance the groove of the track and how you can give each element its own space in the mix. You want your vocals to sound raw and in-your-face, so the rapper’s flow and delivery can dominate the track. However, if you leave your vocals too dry (without any effects), they’ll stick out like a sore thumb and won’t blend with the beat. 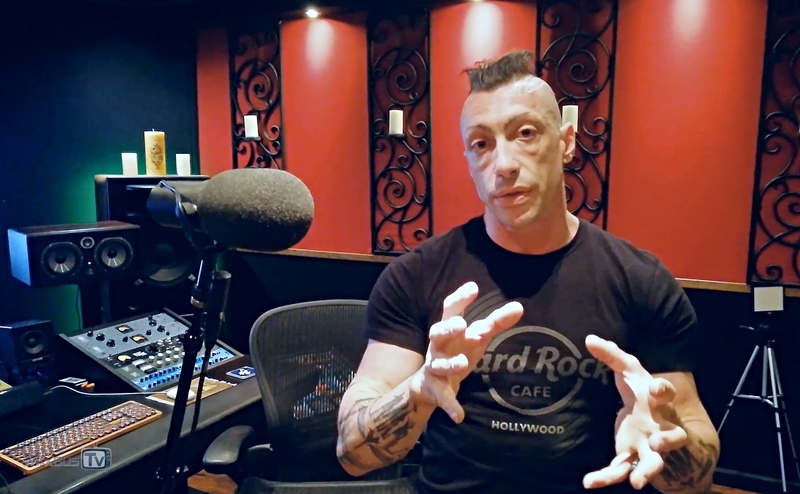 Bob shows you how to mix tight and up-front vocals and how to subtly work in effects to help them blend with the beat without losing authenticity. Let’s face it: Beats can be repetitive at times. – And that’s not a bad thing, it puts you in a certain head space and vibe! However, you would be surprised at all the little details that are done in the mixing stage, which help to build tension and keep the listener engaged. Learn how to get creative with effects and automation to establish a signature sound, which people will remember! Mastering is crucial, especially in HipHop. 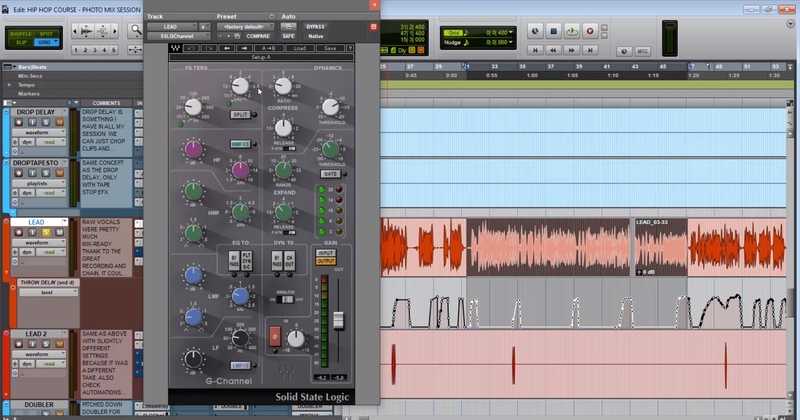 If you get the mastering processing wrong, you can easily ruin your whole mix. This tutorial David will show you how to take you mix to a competitive loudness, so it can stand up next to any commercial release. – Without losing low-end impact, causing distortion or a ‘pumping effect’. Watching Youtube tutorials and learning new mixing techniques is great! But it can become confusing if you’re missing a plan, a strategy to approach your productions. Only if you understand the why behind every decision, you’ll grow as a producer and turn out great songs on a regular basis. We’ve included all multitracks of the song ‘Photo’ by Deezle, so you can mix it for yourself. We’re also including a license for you to use your own mix on your website or portfolio to help promote your mixing business! Learn the techniques of an a-list producer & create tracks that can stand up to any commercial release. Vocals being the king of the song, it was always tricky for me to get them right – especially when you have multiple stacks of adlibs. This tutorial really helped me out by seeing the vocal chains step by step and the thought process behind every decison. By following the techniques I’ve learned from this course my vocals are sounding a lot more polished and professional. If you follow your dreams and try to build a career for yourself, there’s always risk involved. But if you truly want to be successful in music, the biggest risk is NOT taking action at all. Even the best producers in the audio industry keep learning new things on a daily basis – it’s THAT important! This is a great opportunity to learn from one of the best in the industry. So let me ask you: What is the bigger risk? Not taking this course and having your productions stagnate over the next months, or spending a few bucks to learn new concepts that could change your music forever? However, we want to make 100% sure that you can only win with this purchase. So we’re including a 30 Day Money Back Guarantee for you! You can pick up this course right now, and if it doesn’t help you take your tracks to the next level you’ll get a full refund, no questions asked. You can even keep the files! Mixing HipHop with David Gnozzi is a collection of downloadable zip files. These downloads are yours for life! We are working on a streaming solution for future release. We will contact you via email once the members area launches. Absolutely. 24 bit wav files for your mixing pleasure, which you can import into any DAW!